If you’re a highly skilled doctor who has completed specialty training, have top-notch people and communications skills, are capable of identifying and resolving potential problems and has a strong sense of responsibility, you might have the potentials to be a consultant! 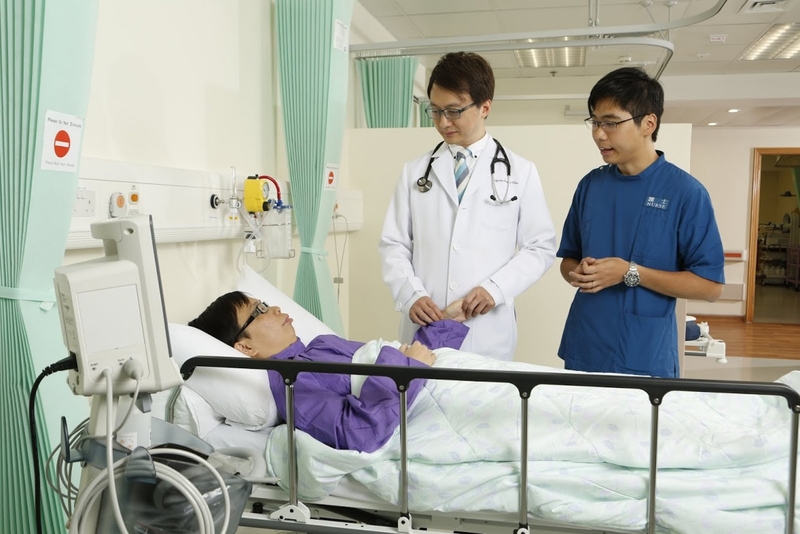 If you aspire to this career advancement path, read on to find out valuable advice from Francis Chan, Dean of Medicine at The Chinese University of Hong Kong, an experienced panel judge of consultant interviews. After becoming Dean of Medicine, I often receive invitations from major hospitals to sit on the consultant selection committee. I observe intense completion for consultant posts and personally ensure that the selection progress is stringent in order to choose the most appropriate candidates for this important role. Applicants must not only possess extensive clinical experience but also demonstrate excellent administrative and leadership skills. In my opinion, the willingness to accept ultimate responsibility is the single most important quality in a consultant physician. To illustrate this point, I will share one scenario based question that I pose at recruitment interviews and an episode that clearly stands out in my interview experience. The chairman of Hospital Authority is visiting your unit today. This is an honour and a rare opportunity for your years of hard work to be recognized. As the unit head, you are the one most familiar with the operation of your unit. While you are excitedly awaiting the chairman’s arrival, a front-line doctor reports to you that due to human negligence, a patient has fallen into a coma after consuming ten times the prescribed amount of warfarin. The patient’s family is outraged and demands a meeting with the supervisor in charge. Otherwise, they would expose the incident to the media. The ward medical staff cannot pacify the family. Both your associate consultant and supervisor are out of town. All the while, the chairman should arrive any minute. As the highest person in charge, how would you handle this situation? While there is no single “correct” answer to this question, I am surprised that most answers I have heard so far at interviews were hesitant and vague. One candidate’s answer, in particular, stands out in my memory. So I reminded him that his supervisor is out of town in the given scenario. Confusion spread across the Dr L — ’s face as if my suggestion had never occurred to him. At the end, Dr L— was selected for the consultant position. The selection of department leaders depends on many factors. One scenario question alone is inadequate in determining the right candidate. Yet, that particular interview experience raised my concern for the training of future medical leaders. A healthcare team requires a leader with a keen foresight, determination and a strong sense of responsibility, to lead its members by his/her own example and to make critical decisions. In addition to excellent leadership skills, a good leader should exemplify the willingness the take on responsibility in times of crisis in order to overcome challenges. In other words, a sense of responsibility and commitment are just as important, if not more than leadership abilities. Nowadays, leadership training is heavily influenced by the current social climate. Today, hospital management closely emulates the corporate management culture which emphasizes on procedural justice and collective responsibility. In this climate, individuals’ independent thinking tends to be dwarfed as everything requires approval from senior management. As a result, there is a tendency to avoid doing things in order to avoid doing wrong. Over time, doctors’ individuality blurs as they gradually turn into little screws in a large machine while the relationship between patients and doctors becomes that of a customer and waiter. To break this impasse is not to give up the quality of our healthcare system but rather to balance the core values of our medical training. Corporate style management can be practiced but independent thinking should also be fostered.